We love a Christmas retail campaign. 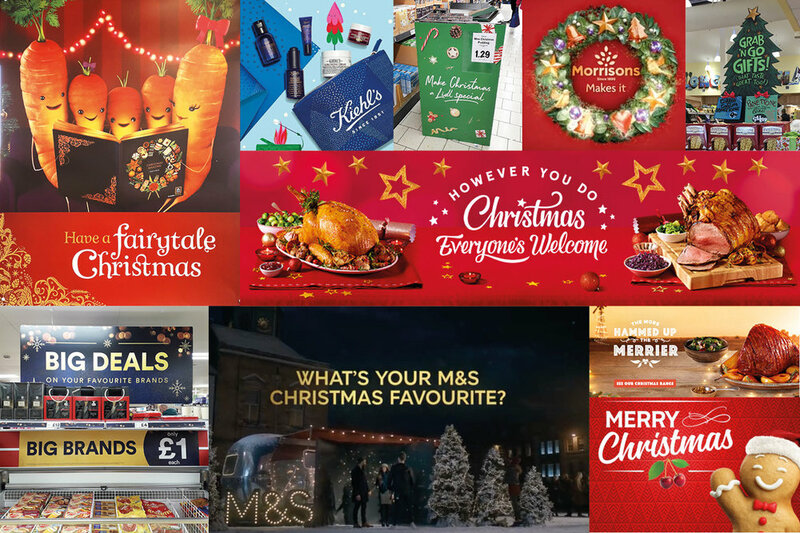 The seasonal ad’s come out earlier and earlier every year and in the UK, November has become the time when shoppers everywhere argue over whether it’s too soon for the festivities to start, or whether it’s great getting stuck into the seasonal spirit as quickly as possible! 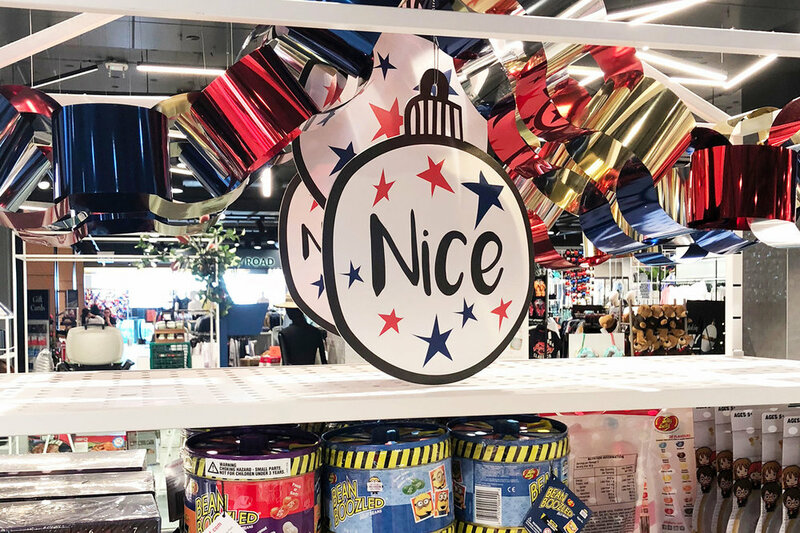 At tickety boo, we’re always excited to see how some of our favourite brands approach Christmas, as well as playing our part in creating festive retail campaigns, and this year we’ve got a little something for your stocking too! We’ve brought together the best piano playing, gift buying, tear jerking, mouthwatering moments into one merry and bright summary, so you can unwrap the trends and take a closer look at what brands in the UK, America and Australia have been getting up to this festive season. In the UK, Christmas campaigns have been a mix of the emotional, controversial and the plain old funny! Our heartstrings have been well and truly tugged by the brilliant version of ‘Get What You Give’ featured in the Sainsbury’s Christmas Ad. The banning of Iceland’s Rang Tan was possibly the best thing to happen to it, if the huge response on social media was anything to go by... and we did giggle when Waitrose ‘fast forwarded’ the John Lewis Ad because stollen is just too good to wait for! 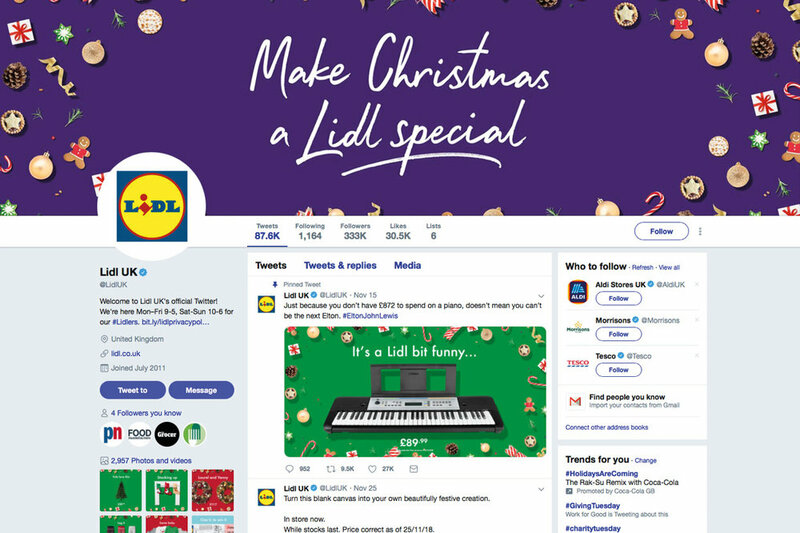 Who could forget Lidl’s quick-thinking social media response to the John Lewis ad, as well? We definitely thought it was a Lidl bit funny! 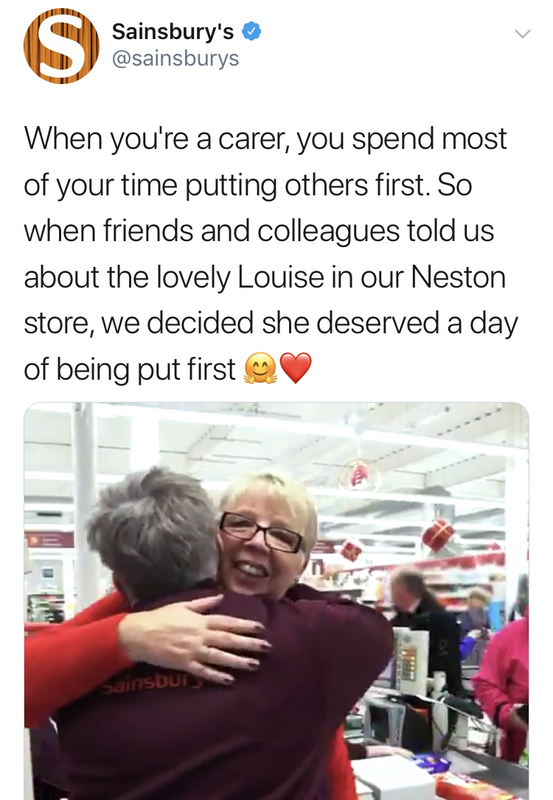 One of our favourite moments on Twitter though, was when Sainsbury’s took a moment to recognise a colleague in their Neston store, who always does so much for other people. They gave Louise a very special day out and the joy on her face was just wonderful to see. Nice one Sainsbury’s. In Australia and America, the annual unveiling of festive campaigns isn’t quite as hotly anticipated yet and things are definitely lower key. It’s been interesting to see the way each brand approaches the festivities on TV, in store and online though, with our favourite moments being Santa’s surprise visit to the outback in Aldi Australia’s Christmas advert – and a Christmas bauble that tells you whether you’re naughty or nice, at the heart of Myer’s campaign. Our seasonal summary also includes some of our favourite ‘High Street Highlights’ – and yes, Santa stuffing his face with a mince pie in the window of Ted Baker is definitely one of them! All that’s left to say is have a very merry Christmas - and we wish you a totally tickety boo New Year too!